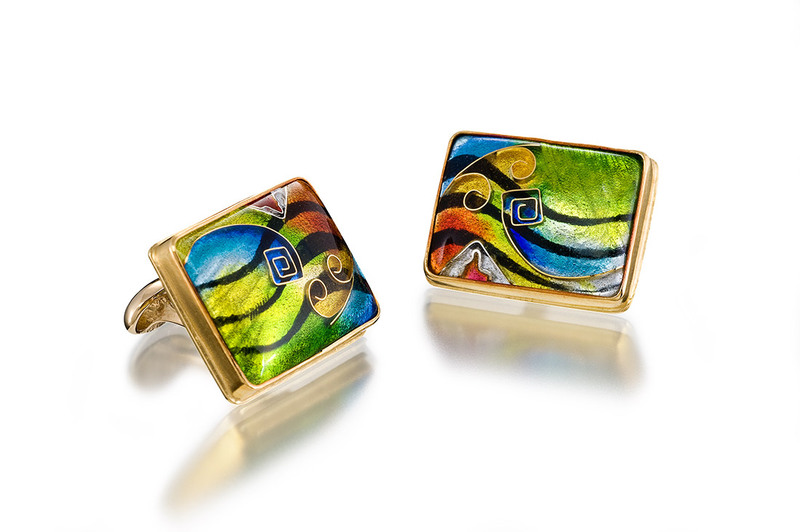 Cufflinks are a cloisonné jewelry piece created for men, by Patsy Croft. It belongs to Holiday collection of amazing enamel jewelry with unique jewelry designs. Women are always thought of as jewelry lovers. But men love to ornament themselves as well. Think of a custom enamel jewelry piece such as tie tacks, rings, pendants, and of course cufflinks. Men’s cloisonné cufflinks are a great way for men to finish up their look for that special board meeting.